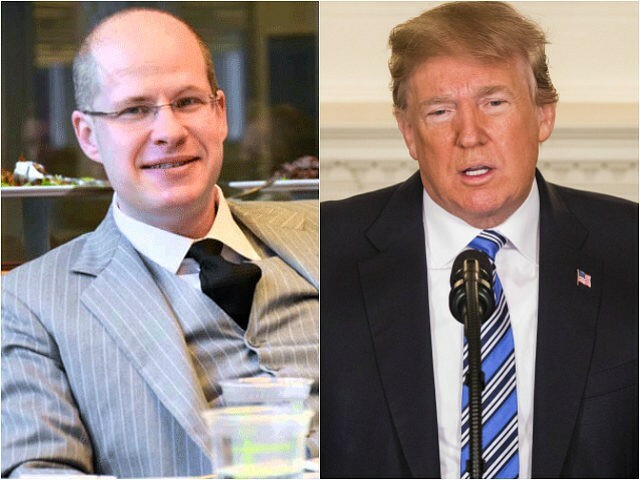 Max Boot, the Never Trump pundit and unrepentant Iraq War proponent who was recently added to the Washington Post’s roster of “conservative” opinion contributors, slammed President Donald Trump for “ignoring” what he argues is the “worst attack on America since 9/11” in his Monday column. The “attack” to which Boot refers is Russia’s 2016 election meddling as alleged in Special Counsel Robert Mueller’s indictment of 13 Russian nationals last week. Boot suggests President Trump’s reaction to the allegations, and the nearly 15-month media-driven frenzy over Russian “meddling” that preceded them, is equivalent to a president ignoring the September 11, 200, attacks by Islamist terrorists that killed almost 3,000 Americans. The Russian scheme, with apparent links to the Russian government, is alleged to have set up social media accounts and organized street-level activism to spread discord in the 2016 election cycle at various times, supporting eventual winner Donald Trump as well as fomenting opposition to him after his victory. Deputy Attorney General Rod Rosenstein emphasized that the indictment makes no allegation the election outcome was affected. Boot acknowledges that Russia’s “attack” did not leave anyone dead but implies a rough equivalence to the events of 9/11, explicitly describing Russia social media scheming as the “second-worst foreign attack on America in the past two decades.” “The Russian subversion of the 2016 election did not, to be sure, kill nearly 3,000 people. But its longer-term impact may be even more corrosive by undermining faith in our democracy,” Boot explains. The Boston Marathon bombing, the San Bernardino massacre, and the Pulse Nightclub shooting, all deadly attacks committed in the name of or inspired by foreign jihadist organizations, pale in comparison by Boot’s estimation. The president’s obstructionism makes it impossible to appoint an 11/8 Commission to study this cyber-assault and to recommend responses. Various agencies, such as the FBI, are trying to combat the Russians on their own, but there is no coordinated response.